“Prices for off-lease units remained strong, however, as upstream remarketing continues to deny volume from physical auctions and causes dealers unable or unwilling to participate in online-only auctions to bid aggressively on the remaining downstream units,” Kontos went on to say, elaborating further in this online video. RVI Analytics was launched earlier this year in partnership with Maryann Keller & Advisors (MK&A) — also a member of the Automotive Intelligence Council. The company is looking to offer comprehensive industry analytics for firms with automotive-related interests. Early bird discounts are available through Oct. 16. Complete details can be found at www.usedcarweek.biz. 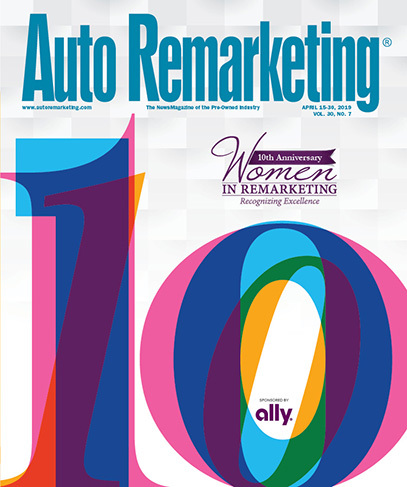 “The market is looking strong for 2018, with dealers still optimistic for 2019 as well,” he said in emailed comments provided to Auto Remarketing. In a blog post earlier this week, senior automotive analyst David Paris said August used-car prices have shown sequential gains through the first three weeks of the month. What’s more, they’re likely to be higher than first projected by month’s end. “The shifting dynamic of the age of vehicles in operation indicates the volumes of vehicles in the new to 5-years-old category will grow 16 percent by 2021, while vehicles in the 6- to 11-year-old range will grow just 5 percent, and vehicles that are 12-plus years old will grow 10 percent. The oldest vehicles on the road are growing the fastest — with vehicles 16 years and older expected to grow 30 percent from 62 million units today to 81 million units in 2021. More than 20 million vehicles on the road in 2021 will be more than 25 years old,” IHS Markit reported. iSeeCars.com’s most recent 2018 data also highlighted how long some new car owners keep their vehicles. The company analyzed more than 6 million used vehicles sold by original owners to identify which models are kept the longest. The average for the top 10 models, said communications manager Julie Blackley, ranges from 8.3 to 9 years or nearly 11 percent and 21 percent longer than average, respectively.